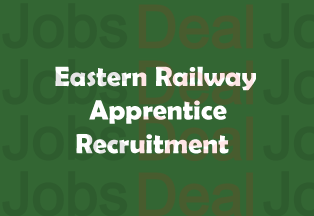 We get pleasure telling you about this fresh news that is for those candidates seeking Eastern Railway Apprentice Recruitment 2017 for a long time. Their wait has not come to an end because as per the published Eastern Railway Trade Apprentice Notification 2017, the vacant posts of Trade Apprentice are available in a big number. Postulants were shocked when they heard of this news and could not help themselves from browsing the latest news on the Internet. If you too are going through this situation (i.e. desperately willing to apply online for Trade Apprentice Jobs), don’t wait and apply before it is late. Those who are willing to work in Eastern Railway Department should pay heed to this recruitment which can be beneficial for them. The notification says that around 579 posts of Trade Apprentice (TA) are available and in order to register against these posts, the interested applicants have to meet other criteria too, for example, Age Limit, Educational Qualification, Selection Process, Pay Scale, etc. People willing to have a comprehensive guide on “Eligibility Criteria” of these vacancies can read the section below on this page. Moreover, they are suggested download Eastern Railway Trade Apprentice Notification from the site (Get the Link from Bottom Side). Getting the advertisement, you will have the knowledge of the requisites that you must meet so as to apply. These vacancies have been divided into further posts and name of them could be Fitter, Welder, Mechanist, Electrician, Mechanic, Painter, etc. The applications forms are invited only from those who are eligible to apply for these posts. That is why, take a look at the given “Requirements” before you go to the application submission process. Essential Qualification Requirement (EQR): The applicants who are interested in applying against this notification should a 10th Class Certificate with an ITI certificate in the relevant trade which should be from a recognized institute affiliated by NCVT. Age Limit: The applying candidates have to be under the “Age Limit” which says that your age should be between 15 years and 24 years based on the rules. Selection Mode: The essential qualifications will not entitle an applicant to be shortlisted for the post, but the process of shortlisting the candidates includes different stages. The selection is based on Merit List, Written Exam/ Skill Test, Interview. Pay Scale (Salary): The selected candidates will be paid a good amount of salary. To know the given salary, please refer to the Official notification guide or visit the link below. Foremost, you need to visit the main web link of the department, viz. www.er.indianrailways.gov.in. After visiting the site, download the notification and read it. Having read it, follow instructions as given in it. Fill up the application form and submit the fee (if applicable). Finally, submit the form in the required way and get a printout of it. If you are having further questions on Eastern Railway Apprentice Recruitment 2017, do let us know through the comment panel. If you liked this article, please share it with your mates as well. Now, check out the links. Want more updates like this? Subscibe us!